*Dilly Dolls*: The hunt is on! 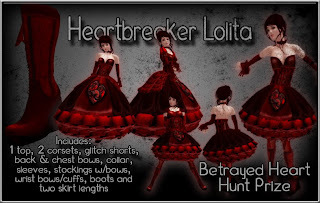 The Betrayed Heart hunt is ready...set...go! The other stores participating are GL Designs, Bryce Designs and Forbidden Thorn. A Sale, New Eyes, And Hello Kitty! A New Location (Again!) And Boots!